When you look at Dr. Datis Kharrazian's list of credentials, it's almost overwhelming. He has three graduate degrees in the fields of nutrition, chiropractics and health sciences, and is currently pursuing his fourth doctorate in autoimmunity and immunology. He is a research scholar at Harvard Medical School, and a professor at three other universities. He also teaches clinicians worldwide through The Institute for Functional Medicine. In addition to his research and teaching, he operates a clinical practice in California, has written two bestselling books, and is in the process of writing two more. 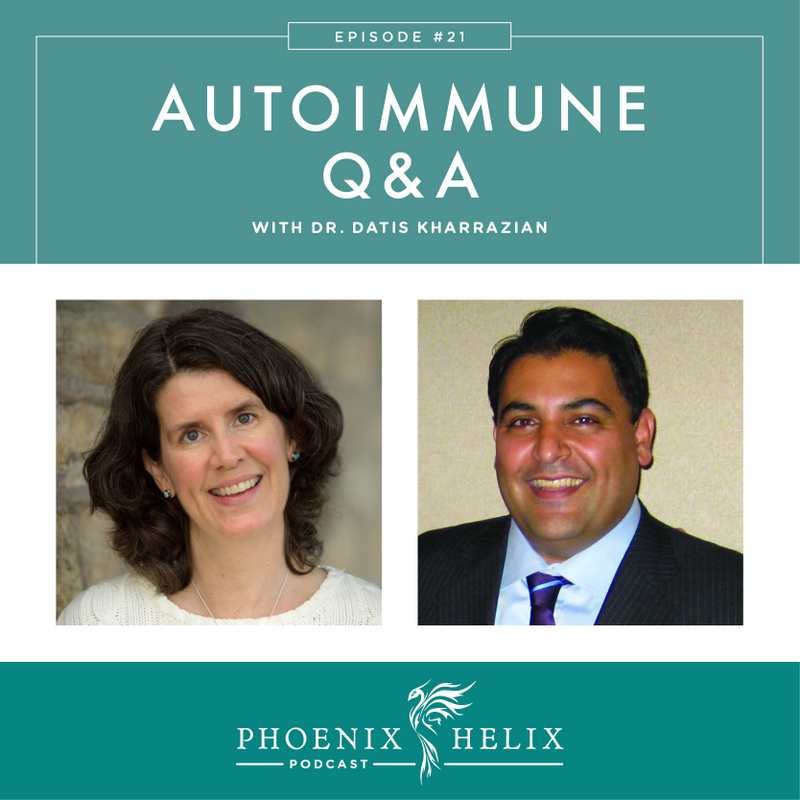 He took time out of his busy schedule for an Autoimmune Q&A, because he believes patients are the best advocates for their own health, and he wants to educate as many of us as possible. 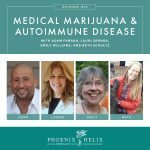 He's a clinician, professor, researcher and author, specializing in chronic conditions like autoimmune disease. He's the author of two bestselling books: Why Isn't My Brain Working? and Why Do I Still Have Thyroid Symptoms? His mother was mentally ill when he was a child, and he learned as an adult that she had neurological autoimmunity. 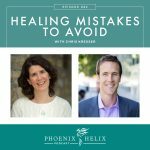 That personal experience, combined with his work with many autoimmune patients, has led him to become passionate about autoimmune health. Silent Autoimmunity – antibodies are present, but there aren't yet any symptoms. Autoimmune Reactivity – symptoms have started, but they're not clear enough to be diagnosed. Autoimmune Disease – immune system has destroyed enough tissue that it can be identified and diagnosed. Currently, treatment doesn't being until Stage 3. He would like treatment to begin at Stage 1. Unlike the Paleo Autoimmune Protocol that allows natural sugars in moderation, Dr. Kharrazian's Autoimmune Diet excludes them completely, as well as high-glycemic fruit. The reason is the impact these foods have on blood sugar. Blood sugar drops and surges drive autoimmune expression, so it's important to keep blood sugar stable. You shouldn't get shaky or moody between meals, nor should you get tired after a meal. Both are signs of blood sugar imbalance. 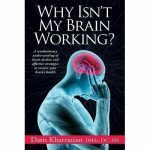 Dr. K goes over this in detail in both of his books. Blood sugar stability is key to achieving remission. He's currently doing research identifying foods that uniquely cross-react with different tissues and would allow people to personalize their diet more effectively according to their autoimmune diagnosis. Stress is a huge factor in autoimmune disease, and if people aren't willing to address it, nothing else matters. It's not just about having too much to do. It's about facing our “personal demons.” In fact, we often stay over-busy to avoid facing them. With the thousands of patients he's seen in his clinical practice, this is the single most impactful factor on the expression of autoimmune disease. So, what do we do? For tips, listen to my podcast on The Mind-Body Connection. The autoimmune response involves B cells and T helper cells. B cells make antibodies to our own tissues (joints in RA, thyroid in Hashimoto's, etc.) These antibodies attach to the tissues like a signal that calls the Th cells to come and attack them. There are a wide variety of Th cells. Most autoimmune disease has a dominance of either Th1 or Th2. And the most important Th cells are Th3 (the regulatory cells). They're responsible for turning attacks on or off. Natural supports for Th3 regulatory cells are: (1) Vitamin D through sunshine or supplement. (2) Glutathione. (3) Opioids which come through appropriate exercise. (4) Emerging research into Cannabanoids. Th17 is a major trigger for autoimmune disease because it ramps up the attack. Things that stimulate Th17 that we want to avoid are: (1) Stress. (2) Overexercise. (3) Poor sleep. (4) Blood sugar imbalances. For Th1/Th2 balancing, testing is imporant and those tests were temporarily removed from the consumer market, but they should be for sale again through Cyrex Labs this year. Sometimes the same factors that cause intestinal permeability can cause permeability in the blood-brain barrier as well: (1) Zonulin. (2) High cortisol. (3) High homocysteine. (4) Hormone deficiencies. It can also work the other direction. Traumatic brain injury often causes immediate leaky gut. The most common symptom of leaky gut is bloating, and the most common symptom of a leaky blood-brain barrier is brain fog. It's common for those two symptoms to go together. Diet and lifestyle factors are important for healing both, but supplements differ. For example, L-glutamine is helpful for healing leaky gut, whereas Gingko Biloba is helpful for a leaky blood-brain barrier. The gut has its own brain called the Enteric Nervous System. The Vagus Nerve connects the brain in our head with the brain in our gut. Chronic constipation, gut infections and digestive troubles that won't heal (or keep recurring) can be a problem in the function of the vagus nerve. You can stimulate and strengthen this nerve through exercises, like gargling or singing loudly. He gives instructions for these exercises and others in the book, Why Isn't My Brain Working? You can develop antibodies against chemicals and have an autoimmune response. This is called chemical intolerance. It's not about the levels of chemicals in your body; it's how your body reacts to them. This is a very specific test and different from the heavy metal tests most naturopaths run. Cyrex Array 11. If you're chemically intolerant and undergo chelation or mercury amalgam removal, the chemicals can enter your bloodstream and your brain tissue, making your autoimmune disease much worse. The only time chelation is safe is if: (1) You have no antibodies against the chemicals. (2) You don't have leaky gut. (3) You don't have a leaky blood-brain barrier. Usually, people with autoimmune disease don't meet this criteria. Resource: Article by Dr. Kharrazian, which includes links to research studies on this topic. These are the most scientifically published supplements showing benefits for autoimmune disease. Pubmed search curcumin. Pubmed search resveratrol. NF-kB is a pathway that increases the inflammatory autoimmune response. Curcumin and Resveratrol have been shown to suppress this pathway. You need to experiment to find the best dose for you. Cyrex Array 11: Chemical Immune Reactivity Screen. T-Cell Testing, hopefully becoming available through Cyrex labs this year. Food Sensitivity Tests to be developed based on his current research into which foods cross-react with which tissues of the body. Disclaimer: Dr. Kharrazian is a consultant for Cyrex Labs, because he feels they do the best work. Only allergies are considered permanent, and sensitivities aren't allergies, so in theory, they're temporary. However, it's a complex question. If it's a cross-reactive sensitivity that directly impacts autoimmune antibodies, he recommends avoiding those foods forever. Other sensitivities can be healed, but you need to heal at many levels: (1) Intestinal integrity. (2) Healthy digestion that breaks food down to the amino acid level. (3) Immune system regulation. (4) Strong detox pathways. (5) Inflammation cleared. Microbiome diversity is directly related to food diversity, and affects your food tolerance. Eat as wide a variety of foods as possible within your current restricted diet, and this will expand your diet over time. If you limit yourself to just a few foods, you will develop more and more sensitivities. Resources: The AIP Recipe Roundtable and A-Z Vegetable Recipe Roundup. 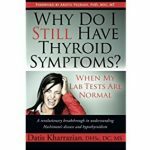 You can keep up with Dr. Kharrazian's work through his website, Thyroidbook.com. His two published books are: Why Isn't My Brain Working? and Why Do I Still Have Thyroid Symptoms? He's in the process of writing two more books: one on SIBO, and one on autoimmunity. He's also working on a video series to teach patients how to manage their autoimmune disease. Sign up for his newsletter to be kept informed at Drknews.com.